Originally from New York, Marla Phillips grew up in a show business family. Her credits include theatre, improvisational groups, stand-up, television (sitcom and episodic) and film. As a forerunner in interactive theatre, Marla spent over five years performing in a medium that combines scripted material and fly-by-the-seat-of-your-pants improv. She has also played the legendary Mae West several times on stage and in the movie “Sunset” for Director Blake Edwards. Marla is currently part of the character talent pool at Brain Brew Interactive Entertainment. She is also national spokesperson for The Children’s Health Education Foundation, a non-profit cause close to her heart in which she lends her voice to their nationwide public service campaign. She is a member of S.A.G. and A.F.T.R.A. 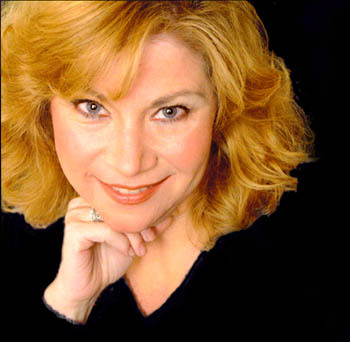 Marla Phillips has just completed a voice-over campaign for the Children's Health Education Foundation in New York City. C.H.E.F. is leading the way to help educators and families understand the biological, psychological and social implications of obesity in order to guide children's behavior toward a life of physical and mental well-being. Specializing in PSAs, Marla wrote and produced these spots. Her voice will be heard Nationwide starting in New York on Clearchannel Radio's Z100 Power 105. Public Service Announcements ( PSAs) are short, "non-commercial" announcements prepared to provide information to the public.